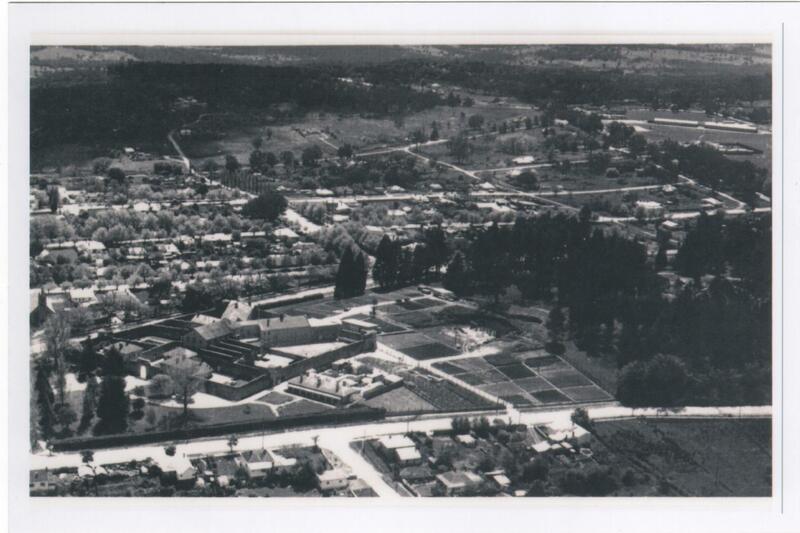 Overview of H.m. Prison Beechworth. Beechworth Gaol located in William Street between Sydney Road and High Street. This was the site of the first prison in Beechworth which was erected in 1854 as part of the Government camp. It was built of logs and included a stockade. The initial construction of the former Her Majesty’s Prison in Beechworth started in 1856, when the former stockade on the same site became ill equipped to accommodate prisoners. Beechworth Gaol was one of nine prisons constructed around Victoria between 1859-1864. 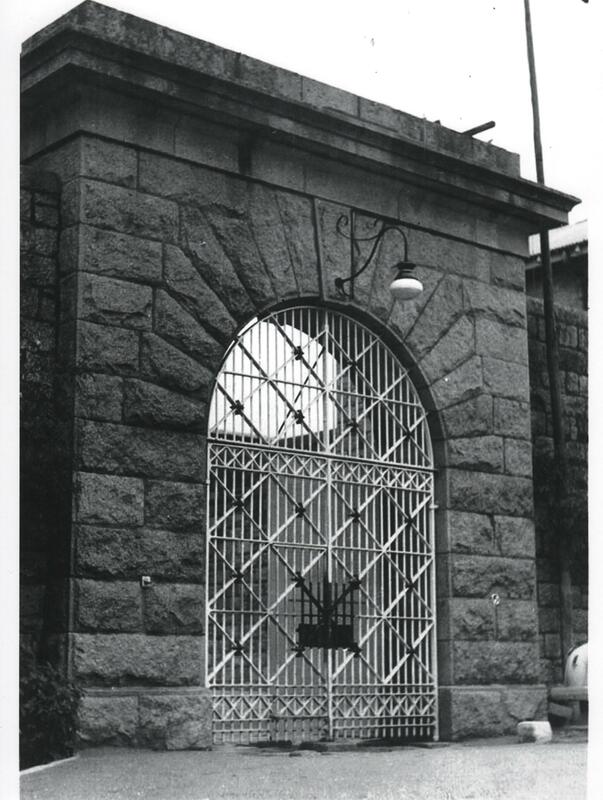 Victoria’s Public Works Department constructed the gaol using granite quarried on site by inmates as part of their hard labour under the watchful eye of Guards and Stone Masons. The cost to the Victorian Public Works Department was £46,763, which equates to $3.7M if constructed today. Original contractors were H. Dalrymple and G. Simmie. The Gaol was the architectural work of Gustav Joachimi, based on Sir Joshua Jebb’s model prison in Pentonville. Sir Joshua Jebb born 8th May 1793 – 26th June 1863, was a Royal Engineer and the British Surveyor – General of convict prisons. William Wardell was the chief architect from 1859 and had the final say in design decisions, his architectural philosophy was: "The simpler the better so long as architectural effect is preserved"
The Gaol was based on the “Panopticon” Principle which simply means, a circular prison with cells arranged around a central point, from which prisoners could at all times be observed. This design of prison proved efficient, cost-effective and easily surveyed by guards watching a large area from one central observation point. It was designed to completely isolate prisoners. 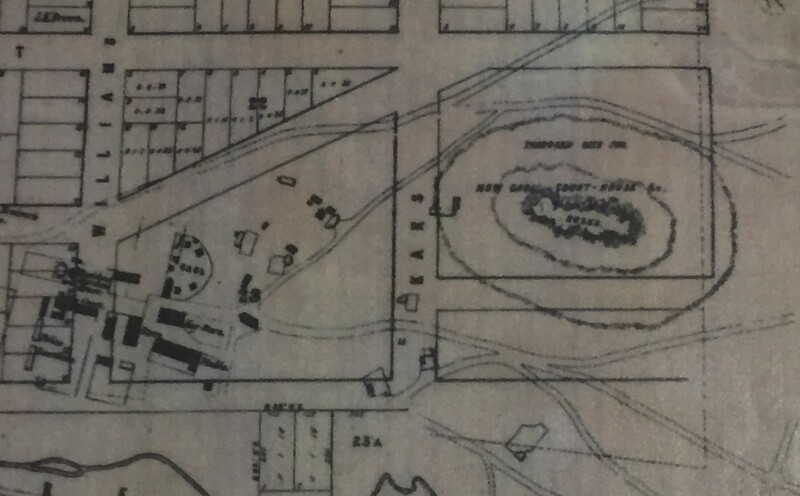 1858 - Construction started for two cell blocks and a proposed cell block (not built) radiating from a central observation as a connection to the first prison. Fireplaces provided heating for the prison staff, while the prisoner's cells had no heating. Each cell block had a fireplace in the roof space but this was used to draw stale air out of the building. Louvered ventilators were also provided on the roof to each cell block. Officially the Gaol opened on the 3rd July 1860, whilst somewhat incomplete, it provided single cells for 36 prisoners, on the buildings completion in 1864 the gaol’s capacity was 75 cells. The very first prisoners housed in the gaol were chinese, due to the extremely poor conditions of their slab hut they were transferred from the old Stockade. The Governor was assisted by a Matron, 7 male Turnkey's and 1 female Warder. 1860 - Construction of the Turnkey's Quarters, Gaoler's Quarters, Watch Towers, Perimeter Walls, Entrance Gateway, Underground Water Tanks and Cesspits. From 1860 – 1895 the gaol housed both Male and Female prisoners, who were occupied with work of a practical nature for the benefit of the town. Men would spend their day crushing rock for the construction of other government buildings or for road base, while the women spent their day in the laundry room, washing and sewing for government officials. 1861 - Building of the Kitchen / Store, division walls, washing shed, airing yards, and watch house for female Warders. 1864 - Extentions were made to the sewerage system. Gallows were installed in 1864 in the southern wing, which saw 8 men executed between 1865-1881. 1868 - Shelter sheds were added to the labour and trial yards. The Governor's residence was constructed on the outside of the perimeter walls. 1873 - A watch tower was added to the perimeter wall behind the North-Eastern cell block. In 1879, twenty-two Kelly sympathisers were held in the prison for 4 months and as a security precaution the original timber entrance gates were replaced with the existing iron gates. By 1918 and after the outbreak of World War 1 and declining number of prisoners the gaol subsequently closed. The Police department took over the prison on the 28th day of May 1918 and used it as a police lock up. On the 1st of September 1926 the Police Gaol was proclaimed as a reformatory prison for habitual male offenders. A dining hall and chapel were built on the base walls of the original office wing. Workshop and stores were built in the female exercise yards. A bath house and laundry was added to the North-Eastern cell block, and a boiler house added to the end of the kitchen. Beechworth's electricity supply was established in 1926 and was connected to the prison the same year. In 1928 a second story was added to the original prisoner reception area, now known as the Mess Hall, it was coincided with the partial demolition of the Old Melbourne Gaol, the spiral staircase was rescued and transferred to Beechworth, and used to make a passage and access around the inner dome. In 1929 the prison acquired 480-hectares near Beechworth where prisoners established a pine plantation of Pinus Radiata. By the 1940’s it was evident that reformatory prisons had not lived up to the aim of reforming prisoners. In 1951 the gaol became a training prison for straight sentenced prisoners with the aim of providing rehabilitation and acquiring new skills. Construction began for new facilities which were able to provide education, accommodation and recreation. 1955 - An Education officer and a Trade Inspector were appointed. In 1957 extensions to the two cell blocks added additional cells to take the gaol population from 75 to 105 inmates, but often the population was far greater. The Radiating Airing yards (Dodecahedron) was replaced with a swimming pool. 1958 - An office building was constructed in the entrance court for the Governor and senior Warders. Ablutions block added to the east side of the central hall, and an Armoury was added to the Turnkey's yard. In 1962 the prison acquired a 112-hectare grazing property for prisoners to conduct work. In 1981 the multipurpose hall was built behind the Governor's residence. In 1983 saw the instilation of Razor wire added to the prison, to minimise escape attempts of prisoners. Sentry platforms were added on the North-Eastern watch tower and enclosed. The Chapel was converted into a programs facilty. A roof was added to the sentry of the South-Western watch tower. In 1984 a laundry was constructed in the former male yard. In 1986 the Industries building was constructed behind the gaol complex. In 1988 the original workshop and store yard (originally the Female yard) were redeveloped as the prisoner reception, stores and education area. In the 1990s the gaol became Her Majesty’s Beechworth Integration prison. Toilets and wash basins were installed in 1993, which saw the end to the daily routine of emptying buckets, which was somewhat of a relief amongst the prisoner's. The swimming pool was rebuilt due to it leaking. In 1995 a family visits centre (conjugal visit suite) was added to the Gaoler's yard, which saw an inmate permitted to spend several hours in private with a legal spouse. In March 2002, the Minister of Corrections announced plans to construct a new minimum security prison in Beechworth, 5kms to the towns west, to accommodate prisoners approaching the end of their sentences, who would receive education and training to prepare them for a return to the wider community. 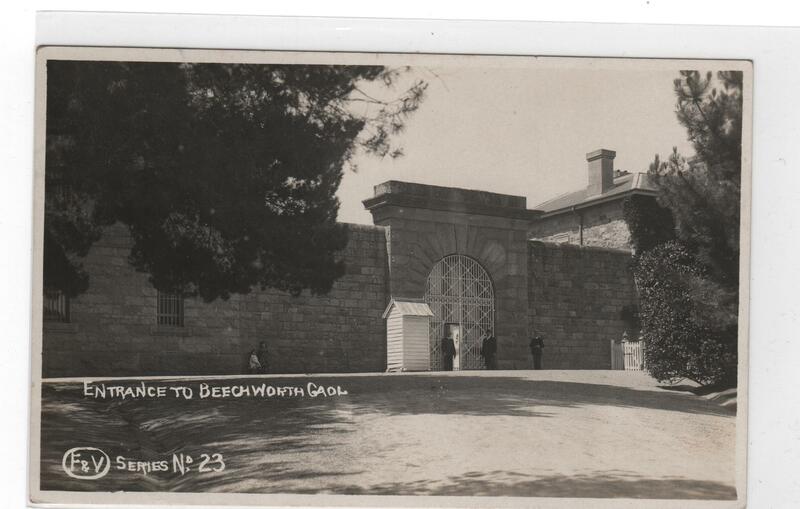 On the 20th December 2004 the Old Beechworth Gaol was decommissioned and closed its doors for the final time. The gaol was sold by Corrections Victoria to a private family in 2005. The Beechworth Gaol was opened to the public as a Heritage listed tourist site in 2011. The burial yard of the Beechworth Gaol became legally consecrated on the 6th December 2011, by Monsignor Frank Marriott. A document called the Sentence of Consecration was signed by the Bishop during the course of the ceremony. On the 27th November 2015 the gaol was put up for auction and sold, only to fall through in April 2016. Then sold privately to a consortium in November 2016.